As professionals in the Windows & Doors business, we are only too familiar with the concept that they may be considered as “weak points” in your home, easiest to attack by burglars. Obviously an unlocked door or window is an open invitation to a thief so it is important to ensure that all your windows and doors close and lock correctly. We also stress to all our customers that they should also carry out this inspection for elderly parents and neighbours. Athlone Windows supply UPVC or Aluminium windows and doors. Advanced manufacturing techniques ensure that all our frames are mechanically strong, tough and durable, backed by a 15 year product performance guarantee. With dual opening facilities, safety and security is paramount; therefore all Tilt & Turn windows are fitted with high-performance locking and innovative gearing mechanisms as standard. Casement windows are fitted with multi-point locking mechanisms as standard, ensuring only the highest levels of safety and security for your home. 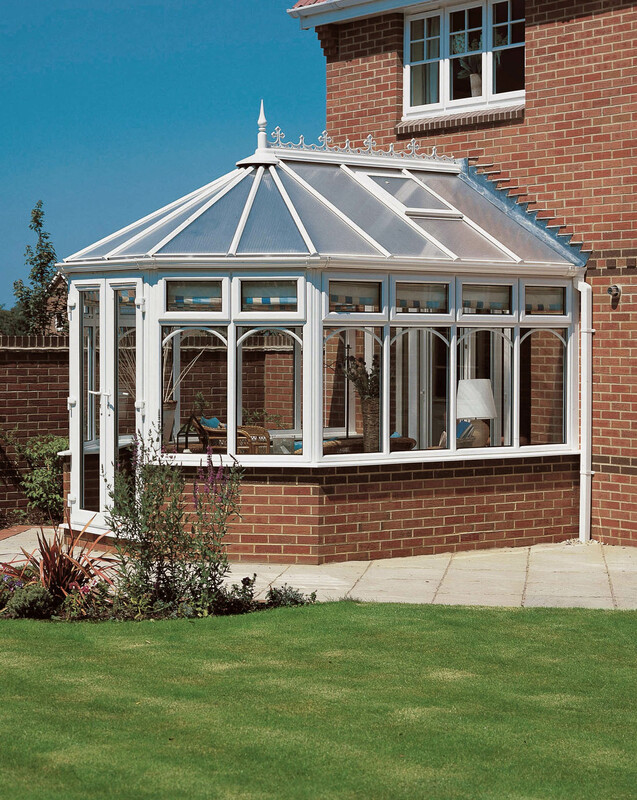 All window components and hardware are specifically selected and fitted to ensure ease of use and long term performance. French windows are fitted with high-security locking mechanisms, ensuring that both openings remain safely and securely fixed when in their locked positions. Fitted to windows for enhanced security. Bolts shoot out from the top and bottom of the locking system and slot securely into keeps located on the outerframe. Fitted to doors for enhanced security. Hooks situated at the top and bottom of the locking system slot securely into keeps located on the outerframe. Fitted to casement windows, these heavy-duty hinges are designed to offer extra strength and security. 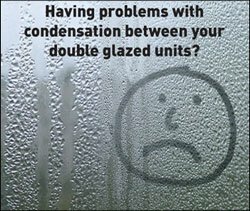 Ideal for triple glazed applications. Fitted to windows for enhanced safety and security. Restrictors activate when the sash is opened and can be released manually from the inside. Living in Athlone or Roscommon? 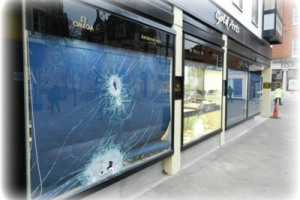 Have you suffered a Break In or have you damaged any glass in your home or business? Most Window and Door glass is repairable. At Athlone windows, we have many years experience in the speedy repair of of domestic, commercial and industrial windows and doors, including double & triple glazing. We also supply laminated and have a variety of toughened glass options. On commercial and industrial project emergencies, our priority is to ensure that the damaged area is safe and that business interruption is minimised. On domestic, while ensuring safety, it is important that you feel safe Glass repair athlone, glass repair roscommon in your home. Athlone Windows are fully insured and we provide a comprehensive servic e, service Westmeath, Roscommon, Offaly and Galway. Contact us today on 09064 98494 and speak to one of our repair specialists. We also carry a wide selection of handles and locks should they have become damaged during the incident. Athlone Windows have registered many customers with the HRI scheme if the customer was keen to take advantage of the tax credits available. The following Text is taken from the revenue.ie website – Full details are here…. The Home Renovation Incentive (HRI) Scheme provides for tax relief for Homeowners and Landlords by way of an Income Tax credit at 13.5% of qualifying expenditure on repair, renovation or improvement works carried out on a main home or rental property by qualifying Contractors. The amount of the HRI tax credit depends on the amount spent on qualifying works. Tax relief can be claimed on qualifying expenditure over €4,405 (before VAT at 13.5%) per property. This €4,405 (before VAT) can be the total from any number of jobs carried out and paid for from 25 October 2013 to 31 December 2015 for Homeowners claiming on their main home and on or after 15 October 2014 and up to 31 December 2015 for Landlords claiming on their rental property. While there is no upper limit on expenditure on qualifying works, the tax credit will only be given in relation to a maximum of €30,000 (before VAT at 13.5%) per property. If a Homeowner or Landlord is having qualifying work done but isn’t spending over €4,405 (before VAT) on the property, it’s still worth choosing a HRI qualifying Contractor and having the work details entered on HRI online. The Homeowner or Landlord may have more qualifying work carried out on the property between now and 31 December 2015. All the spending on the property, added up, could reach the €4,405 (before VAT). It will be very difficult to go back to a Contractor, to try to get him or her to enter details to HRI online, for a job from a year or more ago. In addition, if a Homeowner or Landlord is using a HRI qualifying Contractor, the Homeowner or Landlord can at least be sure that the Contractor is tax compliant. If there are no grants or insurance claims, the lowest tax credit amount is €595 (€4,405 at 13.5%) per property and the highest tax credit is €4,050 (€30,000 at 13.5%) per property. If a Homeowner or Landlord paid €3,800 (before VAT) to a HRI qualifying electrician for rewiring his or her main home or rental property and €800 (before VAT) to a HRI qualifying painter for painting work on his or her main home or rental property, the tax credit is €4,600 x 13.5% =€621. 2015 will be the first year for HRI tax credits for Homeowners and 2016 for Landlords. In general, the HRI tax credit will be included in tax credits over two years, starting the year after the work is carried out and paid for. Qualifying works carried out between 25 October 2013 and 31 December 2013 and paid for by Homeowners during that period will be treated as if they were paid for in 2014 for tax credit purposes. Qualifying works carried out between 15 October 2014 and 31 December 2014 and paid for by Landlords during that period will be treated as if they were paid for in 2015 for tax credit purposes.